Laatst gewijzigd door wes456; 28 januari 2019 om 09:15. From 2013 until 2017, she played Emma Decody in the A&E drama-thriller series Bates Motel. Cooke has also starred in the horror films The Quiet Ones (2014) and Ouija (2014), the science fiction film The Signal (2014), the comedy-drama Me and Earl and the Dying Girl (2015), the horror-mystery The Limehouse Golem (2016), the thriller Thoroughbreds (2017), and the Steven Spielberg-directed science-fiction film Ready Player One (2018). 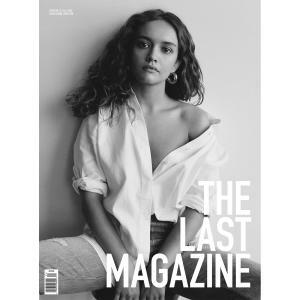 Olivia Cooke was born and raised in Oldham, a former textile manufacturing town in Greater Manchester, North West England. She comes from a family of non-actors; her father, John, is a retired police officer, and her mother is a sales representative. Cooke attended Royton and Crompton Secondary School and studied drama at Oldham Sixth Form College, leaving before the end of her A-levels to star in Blackout. At a young age, Cooke practised ballet and gymnastics. She started acting when she was 8 years old at an after-school drama programme in her hometown, called the Oldham Theatre Workshop. For years, Cooke performed only as part of the ensemble, until she was 17, when she starred as Maria in Oldham Sixth Form College's production of West Side Story. Soon after, Cooke landed her first and last leading role for the Oldham Theatre, in Prom: The Musical, a remake of Cinderella. When she was 14, Cooke secured her first local talent agent in Manchester, who placed her in a number of commercials. In 2012, she appeared in the One Direction "Autumn Term" Tour Video as a student getting a piggyback ride on Harry Styles. During her audition for this bit part, Cooke entertained the producers by performing a split.